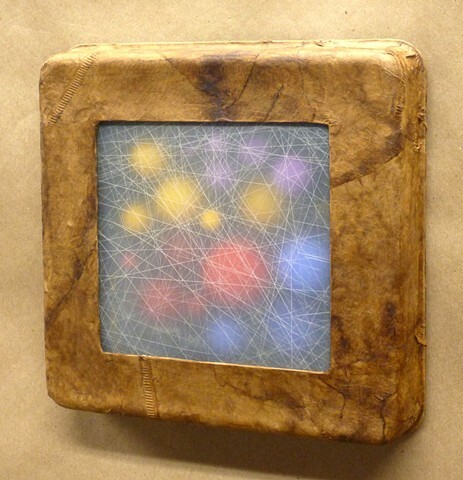 A piece of cardboard packing material covered with used coffee filters and a window made of a plastic cutting board sheet to diffuse the view of hand-painted wooden balls inside. No, it's not supposed to light up. That would ruin the effect. Trust me.